Music is a language that speaks to us all. But the music of Sir Karl Jenkins transcends boundaries of style and genre, of geography, language and nationality to communicate a message of peace that has profoundly moved millions around the world. Incorporating diverse influences from religious and historical texts, multicultural musical styles and, famously, a vocalised language of sounds that speaks directly to the heart, Karl has written powerful works such as Adiemus; and the iconic The Armed Man: A Mass for Peace; that encompass the depth and breadth of human emotion. 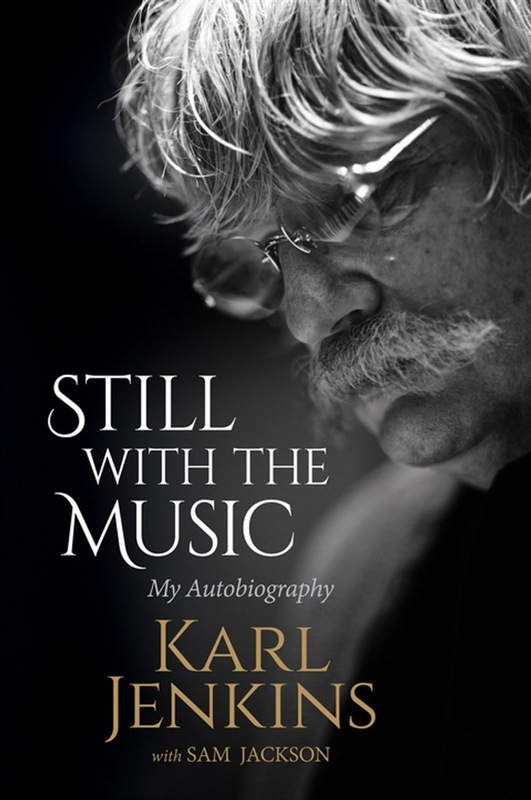 From a modest upbringing in Penclawdd, Wales, steeped in the Welsh choral tradition and the Western classical canon, Karl followed his love of music to London, immersing himself in the 1960s jazz world of Ronnie Scott’s, before joining the seminal prog-rock group Soft Machine. These diverse influences made him one of the most successful composers in the dynamic advertising industry of the 1980s, ultimately leading to his landmark Adiemus project in the 1990s, which inspired him to create the works that have now moved so many. As Karl says, “we all work with the same twelve notes’. Still with the Music is the story of how those twelve notes became something magical, a celebration of the power of music to bring joy, to inspire and to heal. Sir Karl Jenkins is that rare thing: a contemporary classical composer with enormous popular appeal, and one of Britain’s national treasures. Acquista Still with the Music in Epub: dopo aver letto l’ebook Still with the Music di Jenkins Karl, Sam Jackson ti invitiamo a lasciarci una Recensione qui sotto: sarà utile agli utenti che non abbiano ancora letto questo libro e che vogliano avere delle opinioni altrui. L’opinione su di un libro è molto soggettiva e per questo leggere eventuali recensioni negative non ci dovrà frenare dall’acquisto, anzi dovrà spingerci ad acquistare il libro in fretta per poter dire la nostra ed eventualmente smentire quanto commentato da altri, contribuendo ad arricchire più possibile i commenti e dare sempre più spunti di confronto al pubblico online.